Like many large, complex organizations, MSU faces the challenge of maintaining quality while operating as efficiently and effectively as possible. By making smart, sustainable decisions, MSU is planning for future growth in strategic, key areas while keeping costs low. Michigan currently ranks 45th in the nation for state funding increases to higher education. Despite declining state support, MSU has achieved high retention rates and graduate placement and has increased financial aid. Hover over states in the map above to see additional information. MSU has improved the efficiency of operations, by implementing $125 million in reductions and cost containment efforts over the past four years. 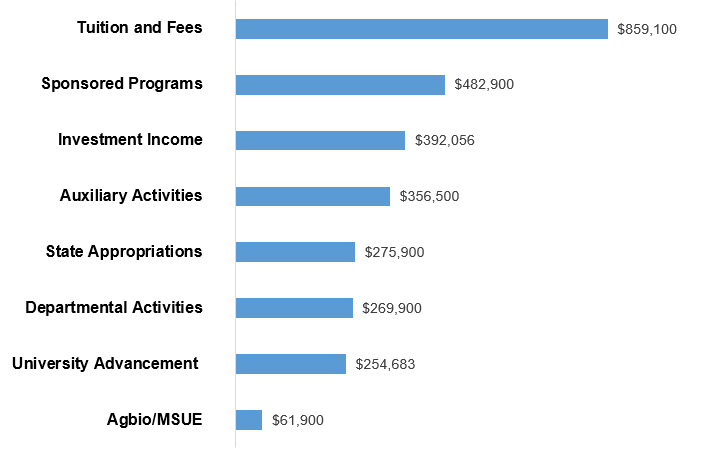 For an opportunity to work on MSU's budget yourself, try our interactive budget model tool. MSU annually imposes a 1% efficiency factor reduction on all operating units, mandating that units continue to improve efficiency. Funds generated through this process are then reallocated across the university to invest in high priority strategic initiatives. 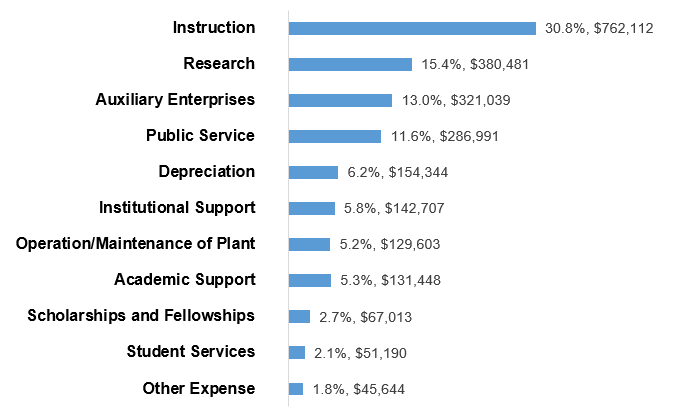 MSU operates with $6,395 less per student than the Association of American Universities (AAU) public median. Over 90 university classrooms have been updated over the last five years to support active learning principles and emerging technology, facilitating the exchange of ideas and collaborative interactions that are essential to engaged learning and student success. Since 2009, research space productivity at MSU has increased by 53.4%, enabling research program growth with efficient and effective use of existing physical resources. MSU has the first 360-degree immersive visualization room at a U.S. university. Learn more about it and the DSL at Digital Scholarship Lab website. MSU exceeded its 30% recycling goal by 5% for 2015 and MSU energy strategies led to $1 million in annual savings while simultaneously diminishing projected long-term energy costs and risk exposure. On March 24, 2016, MSU officially stopped burning coal. The university’s final coal delivery arrived in September 2015 (watch video) . The switch to natural gas as the primary fuel source reduces CO2 emissions by approximately 575 million pounds annually. This decision will have impacts on MSU’s energy transition goals with reductions in greenhouse gas emissions and efficiency. The cleaner fuel will also extend the life of the power plant and avoid approximately $4.5 million in capital costs. To learn more about what MSU is doing for environmental stewardship visit the Be Spartan Green Website . Over the long term, Infrastructure Planning and Facilities innovations have resulted in annual savings of approximately $19 million. Maintenance and custodial service is the most efficient in the Big Ten. MSU’s East Lansing campus is 5,200 acres which includes just under 22.3 million square feet of buildings, an arboretum with more than 44,000 trees and shrubs, a utility distribution system, an electrical production capacity of 99 MW and nominal water well capacity of 9,000 gallons per minute from 18 wells.